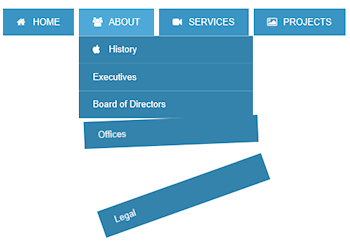 This extension implements a responsive dropdown menu with animated sub menus. The menu includes more than 20 animations to choose from. For mobile browsers, it is possible to switch to ‘stacked’ mode (controlled by the breakpoint property). Also supports Font Awesome icons.